Looks great, but super thin! The ceiling tiles provided the look we wanted in a commercial bay, however the tiles were so light weight that to keep them from blowing out of the grid system we had to put a layer of insulation on top. The added cost of the insulation was still a cheaper solution and provided another layer of sound barrier to the upstairs than buying a more expensive ceiling tile. Overall we are happy with the look! These ceiling tiles have made a real difference in the look of my bathroom. 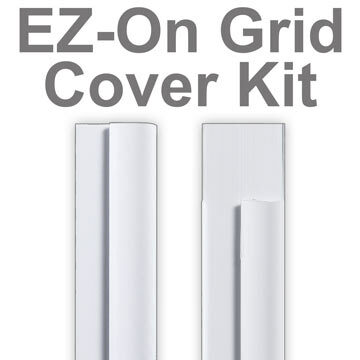 They are lightweight and very easy to install. The tiles exceeded my expectations. You'd never know they're vinyl; the metallic look is top notch. Also, I highly recommend purchasing the decorative grid strips, they match perfectly and exponentially increase the overall impression. A couple of the tiles were damaged in transit, however I contacted the customer service team at ProCeilingTiles.com and they immediately sent me replacement tiles. Five stars for both the product and the service. Easy to install. Makes a big difference in the room. Would recommend this product. 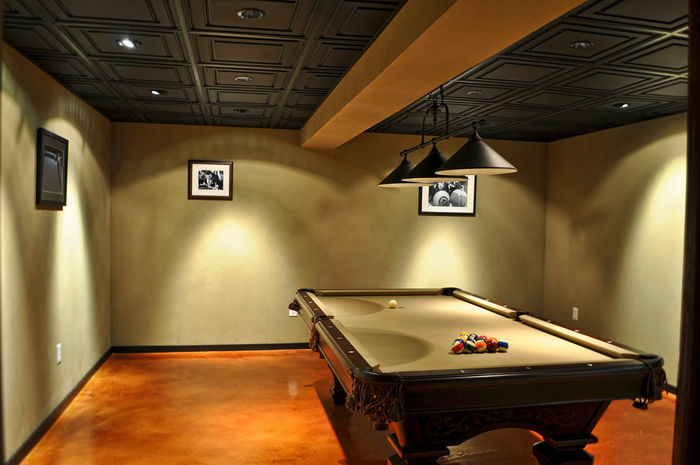 I put this in my basement and I am very pleased with the ease of installation and appearance. Replaced my old typical ceiling tiles with pro ceiling. Looks absolutely fantastic. Clean fresh and so easy to install. This ceiling is top notch. You will not be disappointed. Best price and great customer service. 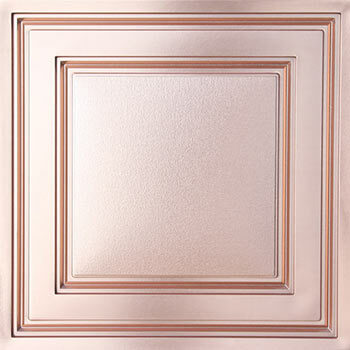 This same ceiling tile is 25-75% more on other sites and in home improvement stores AND it gets shipped directly to your doorstep in a speedy fashion! So glad we used proceilingtiles. We finished out basement using mailing the white tiles. We also used the copper tiles as well. The tiles are so easy to work with and look so beautiful and expensive. 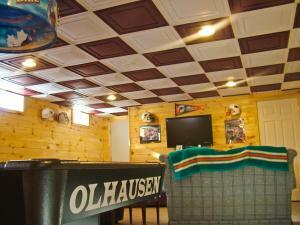 We had a party over the weekend and got more compliments on the ceiling than the bar! I highly recommend using Proceilingtiles.com. 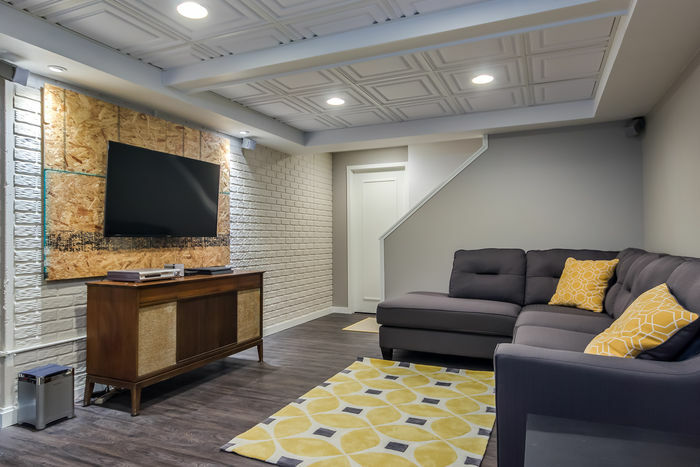 A super nice way to dress up a basement ceiling. The tile is flexible enough to get into a grid placed about two inches below the heating and cold air return duct work. 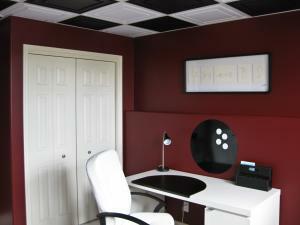 In fact, I was able to place a 24" x 48" LED flat panel light in that space. I didn't think that I would be able to pull this off, but I was able to tackle this project myself, a non-professional homeowner, using 102 tiles . I've received a lot of compliments and am pleased with the results. The tile shipped quickly and packaged well. The staff at ProCeilingTiles seem to be courteous and helpful with suggestions. This is my second purchase from them. Have made multiple orders during my renovations. 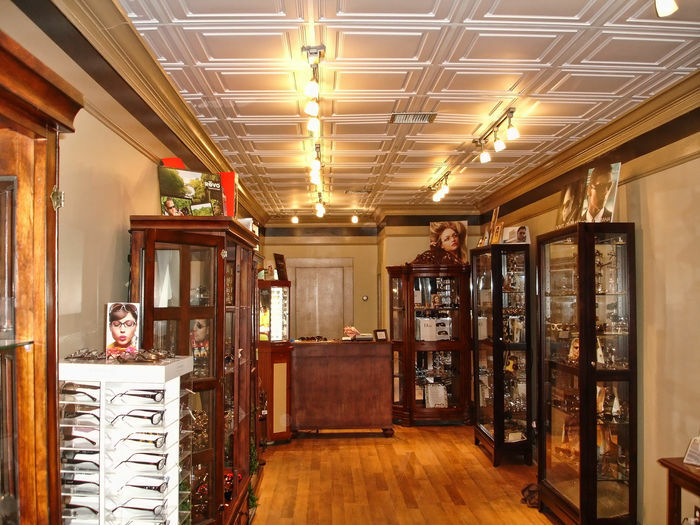 Website is easy to navigate, service is outstanding, and its a great product. Will definitely use in the future. Building a room in my cellar required a suspended ceiling that would be maintenance free so to speak. I didn’t want to worry about tiles and humidity. 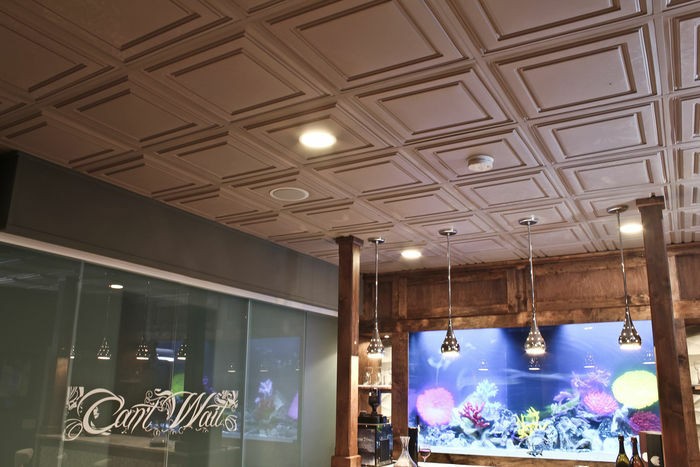 After Googling for suspended ceilings Proceilingtiles.com were one of the first ones to come up. I didn’t have to look any further. 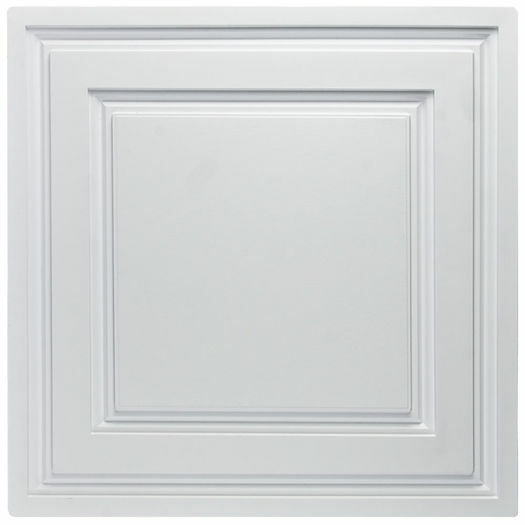 These tiles are mold and mildew proof, need virtually no room above the grid to install and easily trimmed with just a pair of scissors. 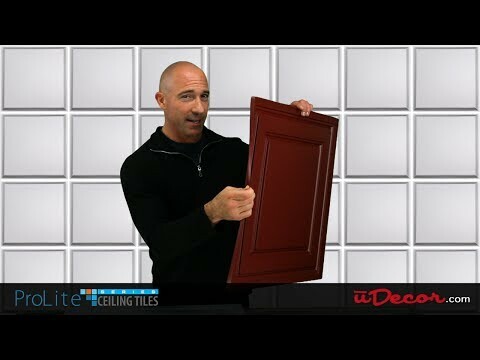 In my opinion these tiles are the only way to go whether your installing them in a cellar or not. I saw the tiles at my nephew's house that he just installed and got the info on ProCeilingTiles. I ordered on-line and received the tiles within 2 days. However, after opening the package one corner was punched in. The damage was minor but would still show up if installed. I contact customer service (Vicki Fenton) and sent pictures. She was extremely helpful and send a complete new order to me which also arrived in 2 business days with no damage. Installation was very easy and cutting them with scissors was very convenient. I was extremely happy with the purchase. They are a little on the pricy side but well with the money especially with the outstanding customer service and free shipping (twice for me). 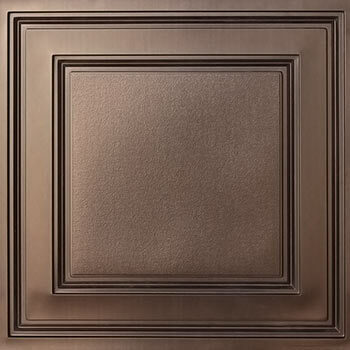 When we were told we needed a fire-rated ceiling panel, I thought we would be stuck with some dreary selections and was pleasantly surprised at the range of style choices from Pro Ceiling Tiles. 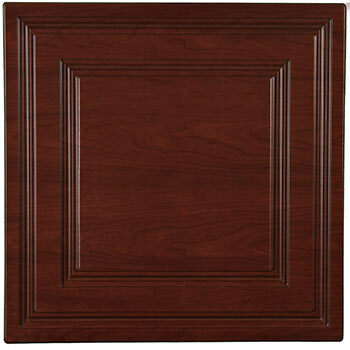 I went with a wood-grain look and they keep the look of my office in tact without skipping a beat. They sent me a sample pack promptly and the only problem was trying to decide which style and look to go with. 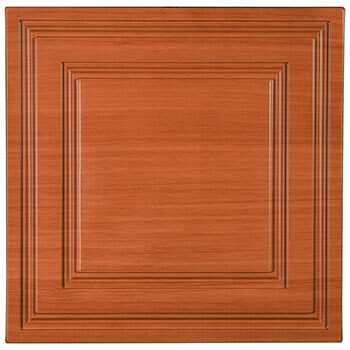 I ordered a few of the Stratford Vinyl Ceiling Tiles to see how they would work for a current project. I wasn't terribly impressed with the quality--a little thin for my taste--but when I asked if I could return them, Vicki Fenton was very helpful and gracious. Great service! I will consider other ProCeiling products as the need arises. Thank you so much for your feedback on our customer service! It was our pleasure to assist you in your return. 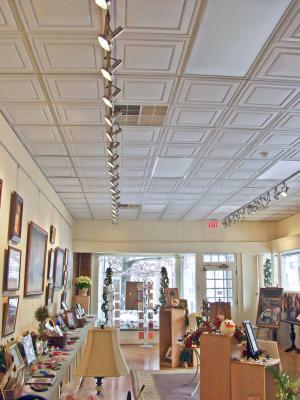 Our goal is for your to love your ceiling, so we're sorry to hear that the Stratford tiles didn't work out as planned. If we can assist you on any future projects, please don't hesitate to let us know. Was quoted 3800.00 for new ceiling . I did it all myself and replaced entires ceiling myself .for 800.00. With pro ceiling tiles. 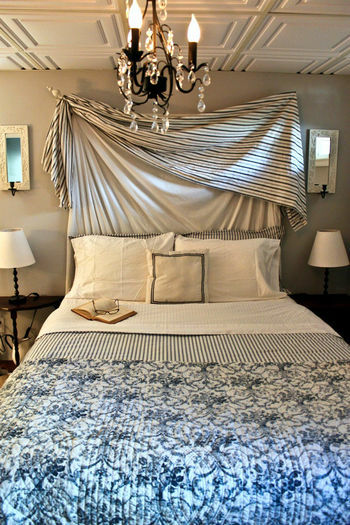 So easy to do and it looks so professionally done . One of the best companies I ever dealt with . I order tiles as I needed them with several small orders at a time because I didn't know exactly how many I needed . They shipped out in 2 days . I'm so pleased my basement is clean and fresh .. Thank you so much .. Best investment I ever made. Looks great! We are so happy with the outcome! Tiles are very easy to work with. Would recommend this product. Proceiling is a great company. Ordering was easy and delivery was fast ! We are very impressed with the ceiling tiles we ordered. The materials look great and are affordable. We've been remodeling our high end design center and showroom, the tiles we ordered definitely give our showroom a look of elegance. We would highly recommend ProCeilingTiles.com to our partners and clientele. 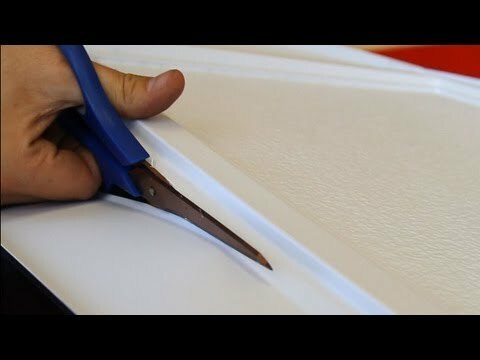 I spent a great deal of time researching before choosing ProCeilingTiles to replace my old ceiling. The lightness of the tiles concerned me a little. However when it came to installation, I was very grateful for that after struggling to remove the old standard ceiling tiles. And the final product is very impressive. Looks great! I love my ceilings (I replaced two). I did have a small issue but this Company has an outstanding customer service staff. They dealt with my concerns very quickly and in a very gracious manner. 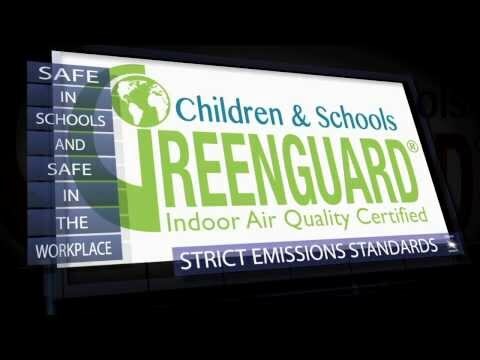 Would definitely purchase products from this Company again. Wow!! Excellent product that makes a visual difference in the room. Quality product that totally changed the look of the lower level of our house and consistently receives favorable comments. 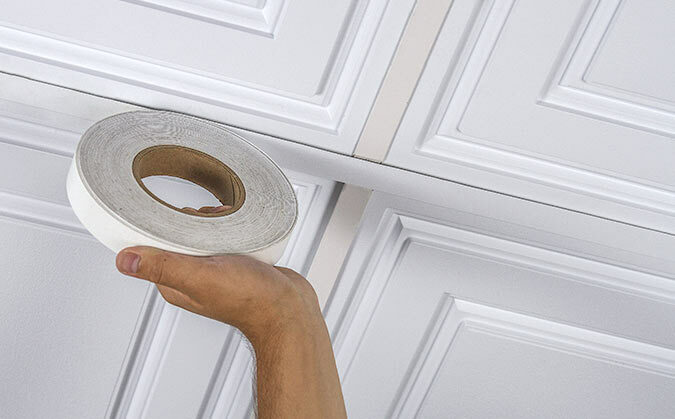 Easy to cut to size, easy to install, and easy to clean (if needed) with a damp cloth. A key factor in our selection was vinyl does not collect moisture thus does not create a mold issue in sub-terrain levels of a home. 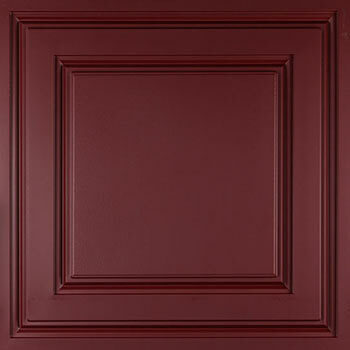 Proceilingtiles quickly shipped the product and our remodeling project was quickly finished. Superb choice!! What a difference in my basement! My finished basement had old 2 x 4 acoustic tiles. 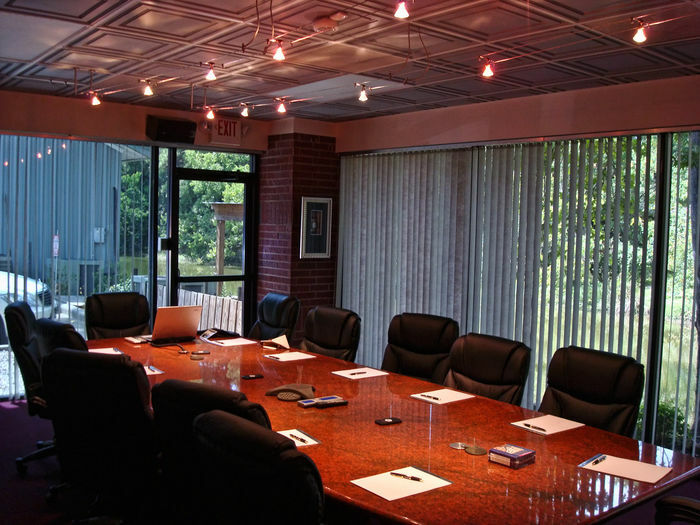 They were very ugly and made the room look like an office building. 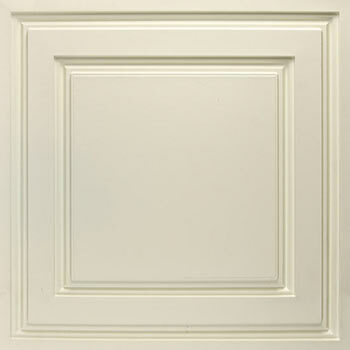 I purchased 2 x 2 Stratford ceiling tiles and dividers to make the ceiling square. I retained the old ceiling tiles above the new ones. This allowed for noise deadening to the upstairs. The tiles are easy to work with and install. When cutting was necessary regular scissors did the trick. I also installed 2 x 2 LED lights that brightened the room as well. When my grown children saw the room for the first time they were amazed as to how good it looked They said it no longer looks like a basement. They were also surprised that their very un handy father could have done the job. Without doubt the resale value of my house increased much more than the cost of the tiles. I had other options as to where to buy the tiles as well. But the informative website and the customer service I received at Pro Ceilings was top notch. 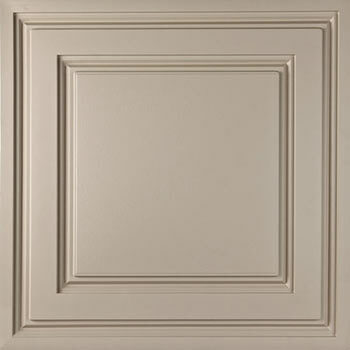 I took advantage of Pro Ceilings sample program and ordered several different styles and colors to see what looked best. When I ordered the samples and they were shipped the same day and I got and personal response from Julie in customer service, I knew this was the company I would order my tiles from. I couldn't be more pleased. This was my first purchase with Proceilingtiles.com. The product was delivered quickly as promised. I wasn't convinced I would like a plastic tile until I installed them. They look great and "the boss" is very happy. Easy to install, easy to trim and easy to clean. I like Easy! We love our new ceiling tiles. Lightweight, easy to install. Love the cut of the tile it gives texture and elegance to the room. We've passed on the Proceiling tile website to all our friends. 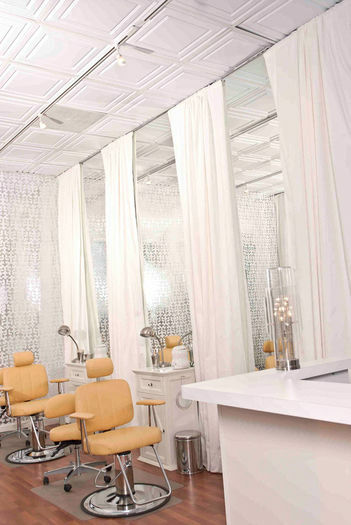 We absolutely love our new ceilings. Our home was damaged by a tornado in May 2015. 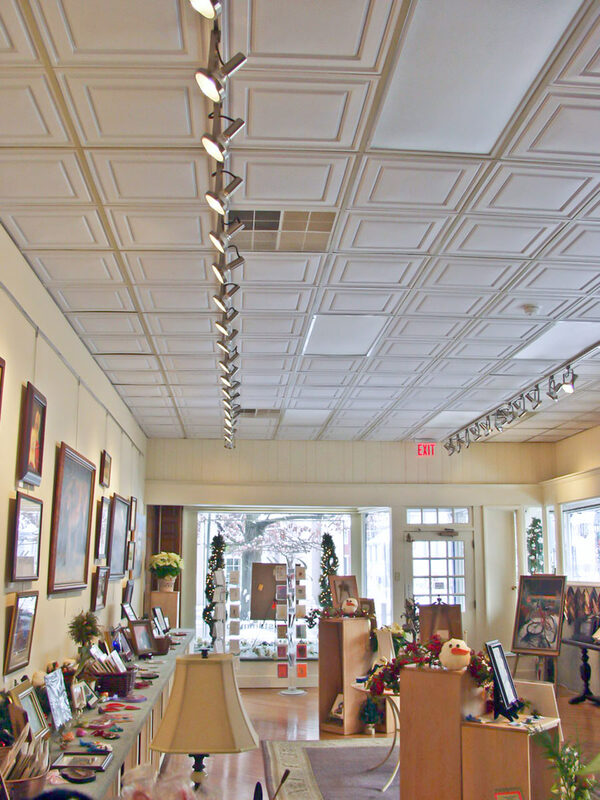 When we renovated we put in all new ceilings from Pro Ceiling Tiles and they are awesome. Every one loves our new ceilings. We used these tiles as border with the Petal tiles and it worked perfectly -- we would not have thought about doing this without the advice from ProCeiling. 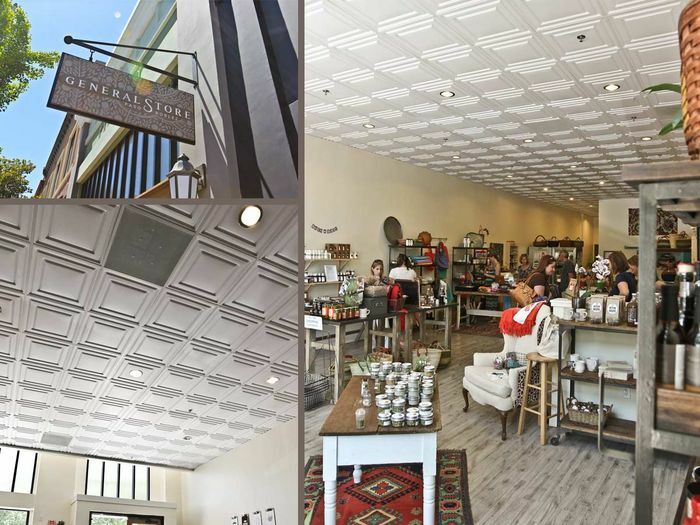 We have had nothing but compliments on our new ceilings. Our house was tremendously damaged in a tornado May 2015. When renovating we put in all new ceilings and they are gorgeous. 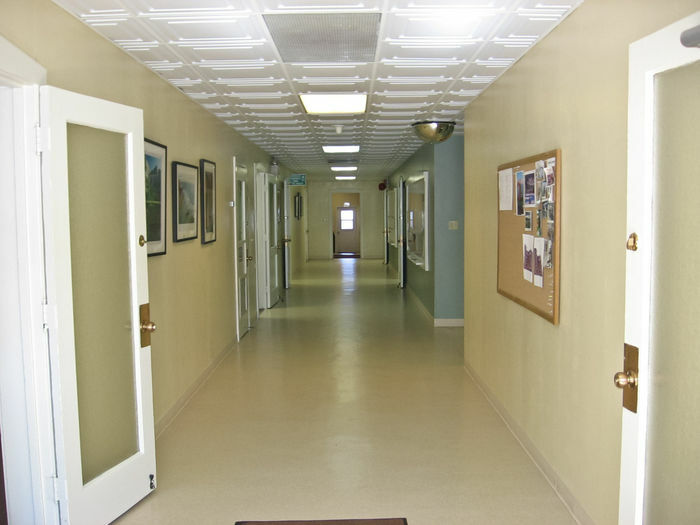 We could not be happier with our experience with Pro Ceiling Tiles. I am a contractor and I wasn't impressed. But now, WOW! 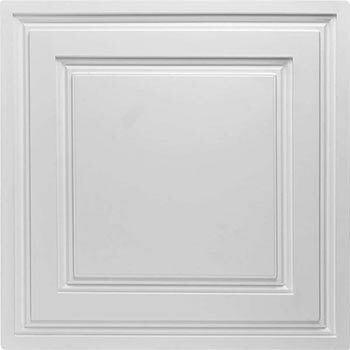 My customer found your ceiling tiles on your web site. When she told me she wanted to use the Stratford Vinyl tile I advised her against them. 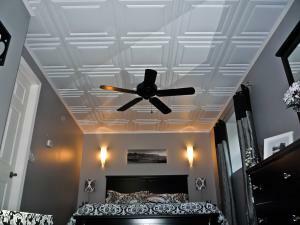 I thought they were too thin and would not lay correctly and they were a cheap excuse for a ceiling tile. I advised her against using them. It is amazing how our ignorance hold us all back from a great decision. After installing the tiles I found out how easy they were to install, how that when there is only about two inches of room, they fit easily, and how great they look after the job is done, I am sold! I will be a customer for all my suspended ceiling work from now on. Thank you for letting us know about the issue and we're sorry for the inconvenience this caused. It's abnormal for the tiles to bow, but we can definitely replace them for you. 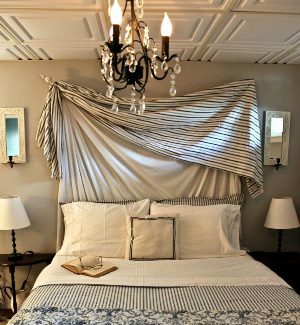 Our goal is for you to love your ceiling ... if you don't then we aren't doing our job. 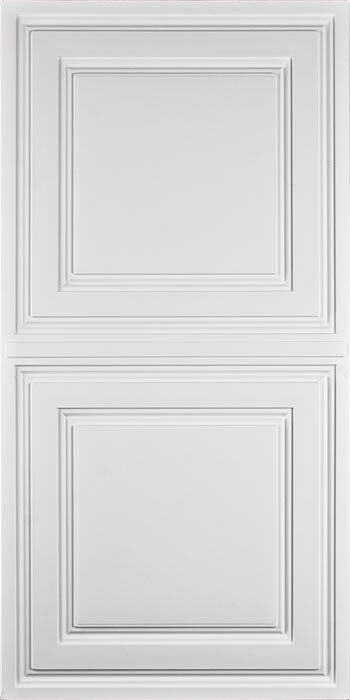 We had a very positive experience with Pro Ceiling Tiles from receiving samples to fast shipping and extraordinary customer service. The product is affordable and looks like it wouldn't be once installed! Excellent all around- highly recommend. Easy to install using our old grids (spray painted them before installing). These tiles are light and tend to raise when the door is opened and closed so we left the old tiles in on top of these. We had already expected it to happen so it wasn't a disappointment. 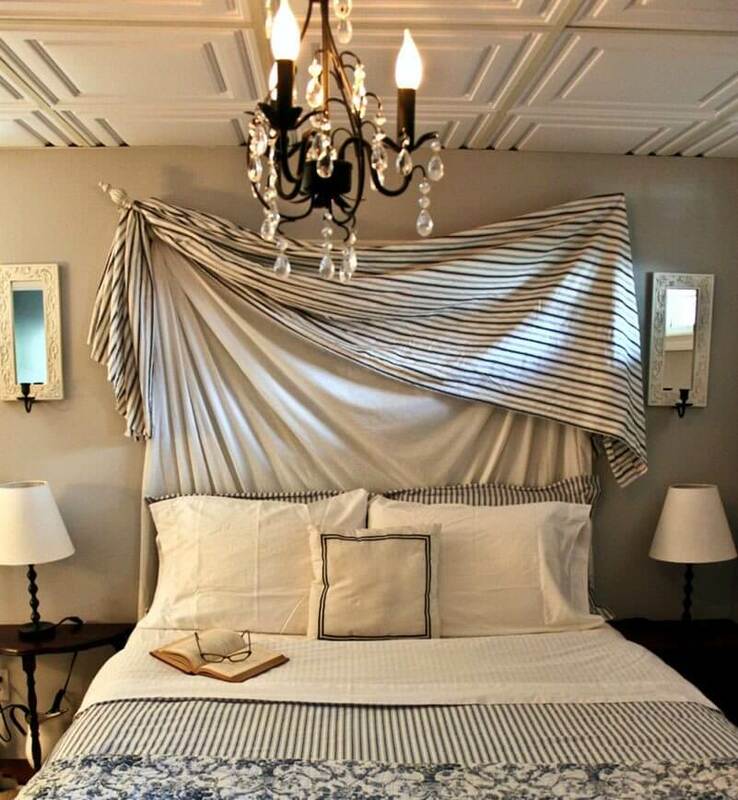 Economical way to freshen up an old ceiling. Pro ceilings shipped fast with great communication! Would buy from again! We used these these in our basement, With all the work we did (including a fabulous bar!) the first thing most people noticed, was our ceiling! 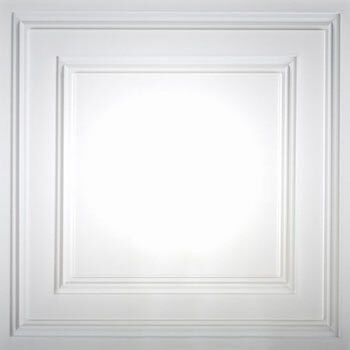 Pro Ceiling Tiles ships quick and the product is SIMPLE to cut and install, most importantly, the end result is, they look great! Have received lots of compliments! 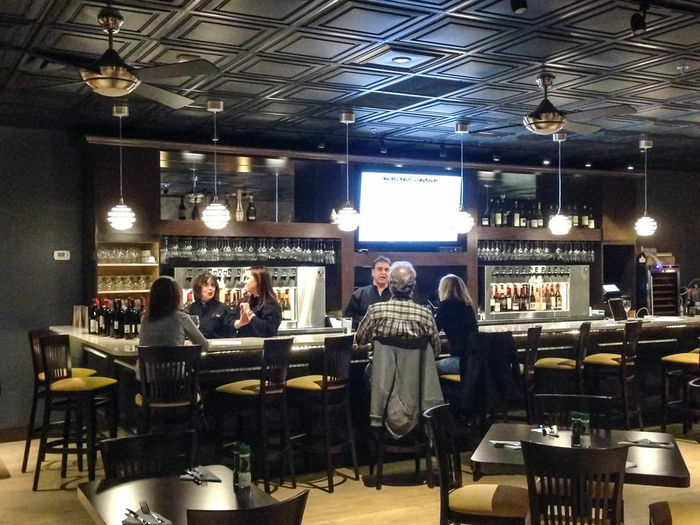 The Stratford was an excellent option for us in our basement. 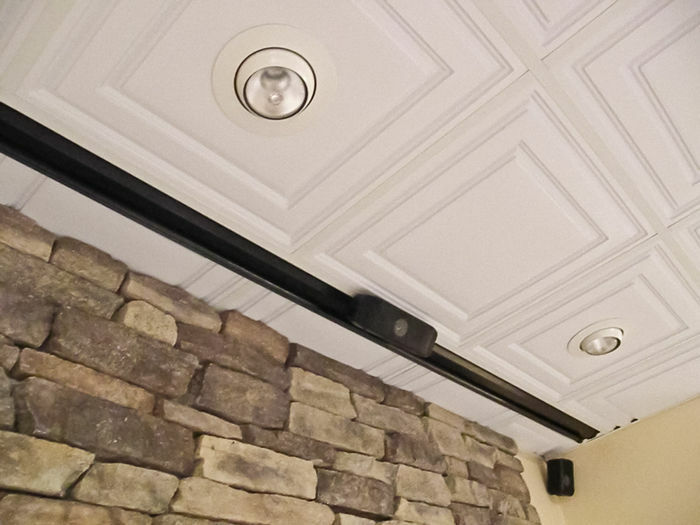 I cannot stand traditional drop ceiling tiles but wanted ability to access if necessary. 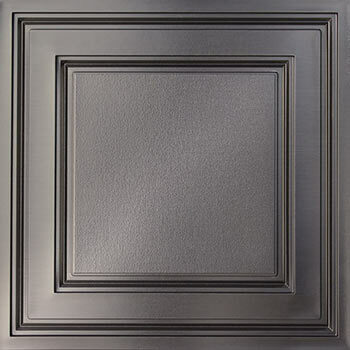 We used a product called 'ceilinglink' for the track and that was a very time consuming product to use but these tiles went in great, easy to cut, and flexible where we had complicated corners. Will recommend to others as inquiries are posed! Thanks ProCeilingTiles. Good product with nice look but way overpriced for thin piece of plastic. Hi William. 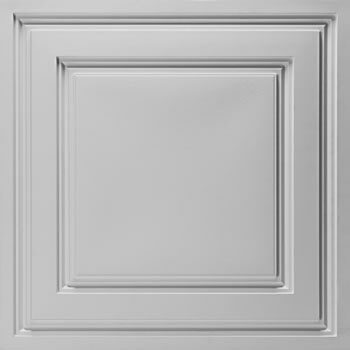 Many of the customers that install the Stratford tile are using them for their businesses, so we are sorry to hear that you didn't find them suitable for your project. 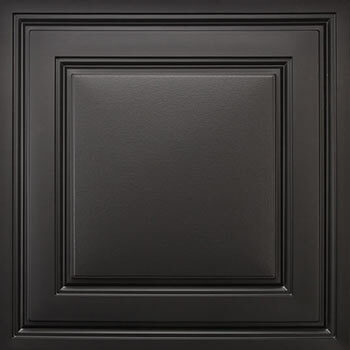 The Stratford is not thick like the old mineral fiber tiles, but the primary reason why they are so popular is the look that they provide and the fact that they are waterproof. Our current return policy provides for 90 day returns on the Stratford, so we are happy to assist you with setting up a return (855-376-5070). 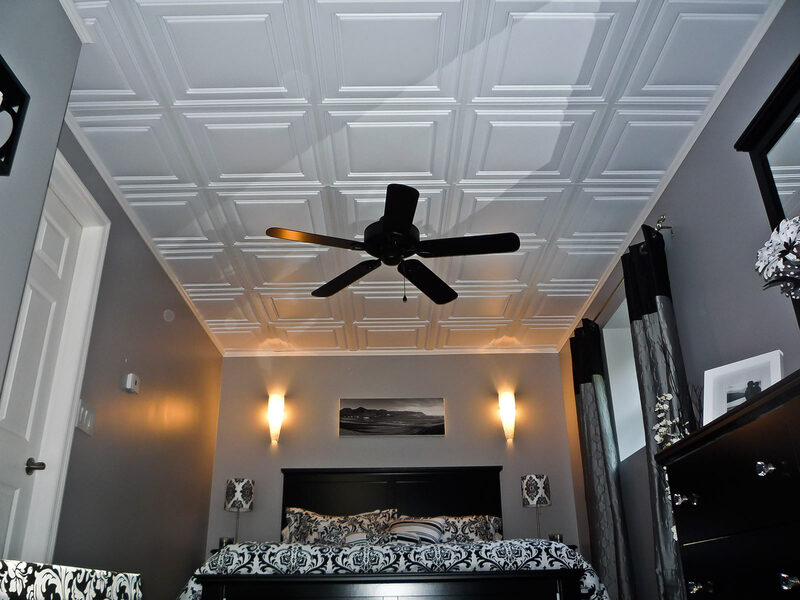 When we were renovating our new home, I wanted something totally different for the drop down ceiling besides the typical "ugly" foam board ceiling tiles. 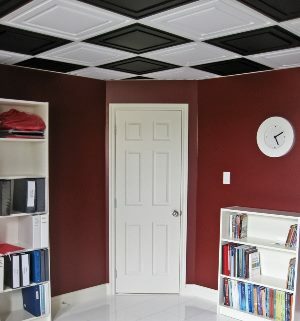 I searched online and came across Pro Ceiling Tiles. WE LOVE THEM! 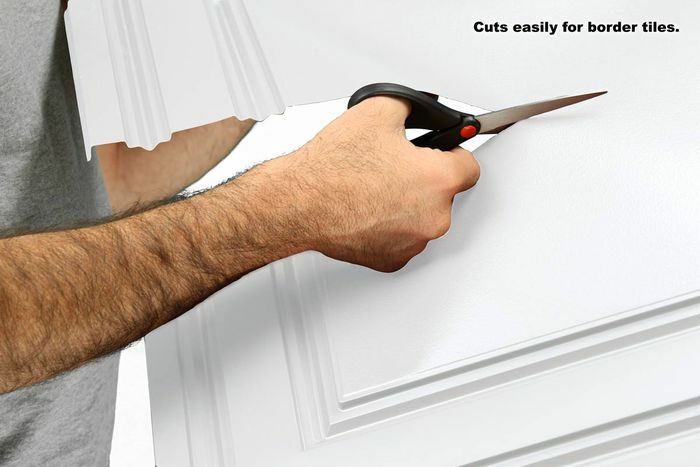 They are extremely easy to cut to size and install. The look is fantastic and very classy. Everyone who has a drop down ceiling somewhere in their house and sees these wants to know where I got them from. I love having different distinctive looking designs and items in our house, and these fit right in. 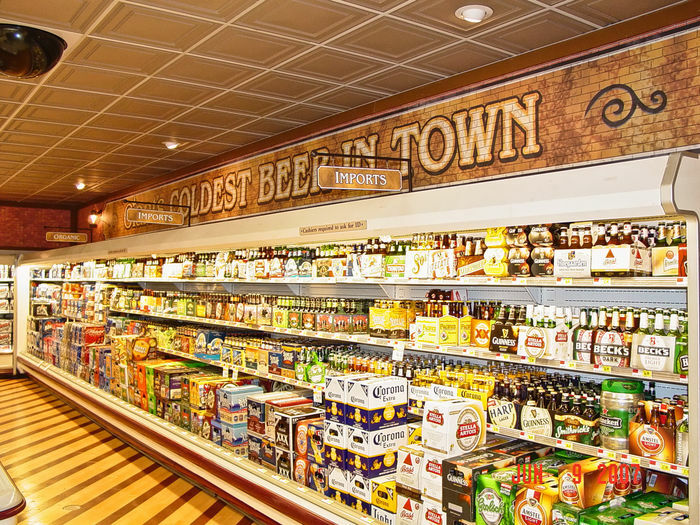 You cannot go wrong with these ceiling tiles. 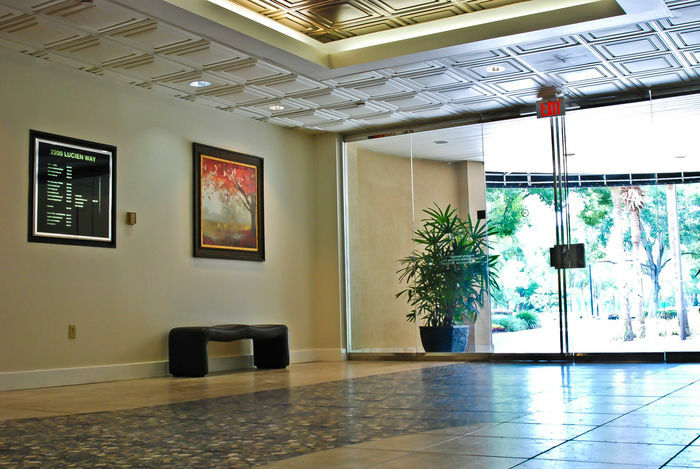 I bought ceiling tile last year from ProCeiling, I had a good experience, very good customer service and attention, good product must of all when you needs theme, they're there for you customer services and management, they do pay a lot of attention to customer questions and problems...highly recommended you wont regret it.